Grandson Tyler Belling graduated from high school in 2009. 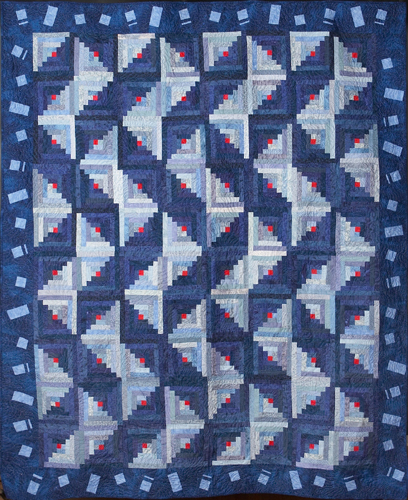 His favorite color was blue which is incorporated into the front of the quilt as well as featuring hockey fabric on the backside. Tyler is in college at ISU.